Some teachers say what has been lost in the latest row over results is their claim that the tests — not the teaching — are to blame. Months before she even wrote her Grade 9 final math exam, Anita Hofer's daughter was already worried she was going to fail the standardized test. The Calgary mom said she encouraged her daughter to "buckle down on her studying, and her note-taking and to be really paying attention in class," thinking a little more effort would be enough for the otherwise strong student. "We really didn't have any indications from her report cards that she was going to be flunking the exam, and that's exactly what happened," Hofer said. Across Alberta, 13,800 students in Grade 9 — a third of those who wrote the exam — failed the Provincial Achievement Test in math. A similar share of students in the Calgary Board of Education also fell short of the province's acceptable standard. The high failure rate caused considerable hand-wringing among students, parents and teachers, especially given revelations the province considers a 42 per cent mark a passing grade. Parents went to social media and call-in radio shows, openly worried about the quality of math education, and sparked debate over various teaching methods, including calls for a return to the old-fashioned way of memorizing times tables. Days later, there was strong indication Albertans were not alone in their math woes when the Ontario government announced all new teachers must pass a mandatory math test before entering the classroom. The debate over pre-high school math scores has raged in Alberta for decades. While some observers say the causes of the latest score slump are too complicated to narrow down, some teachers say what has been lost in the latest row over results is their claim that the tests — not the teaching — are to blame. 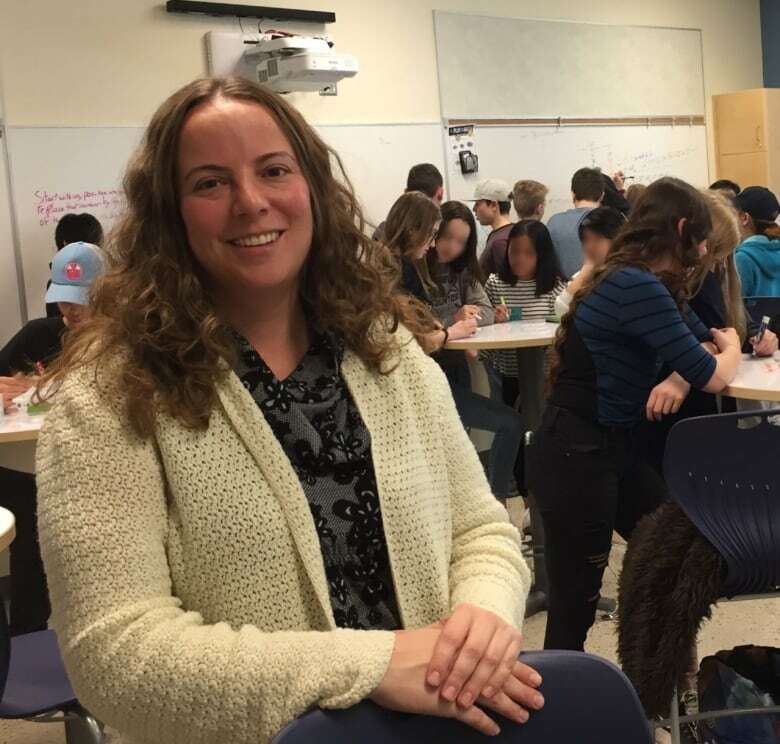 On the last day of classes in June, some Grade 9 students left Alicia Burdess' classroom in tears after agonizing over the standardized math test. Some gave up, leaving swaths of the answer sheet blank. Burdess, a Grande Prairie teacher who has coached colleagues on math education and once served on a provincial math council, said the timed exam was a source of stress and failed to accurately measure the math skills of her students. She worries their angst over the test will only fuel what she calls "math-phobia," a systemic fear that has made it "socially acceptable to say we're not good at math, where we would never say that about reading." After the results were released, other teachers shared with each other their own criticisms with the test. One point of contention was a new segment requiring students to solve 20 math problems in 20 minutes without a calculator, with some extra time allotted. 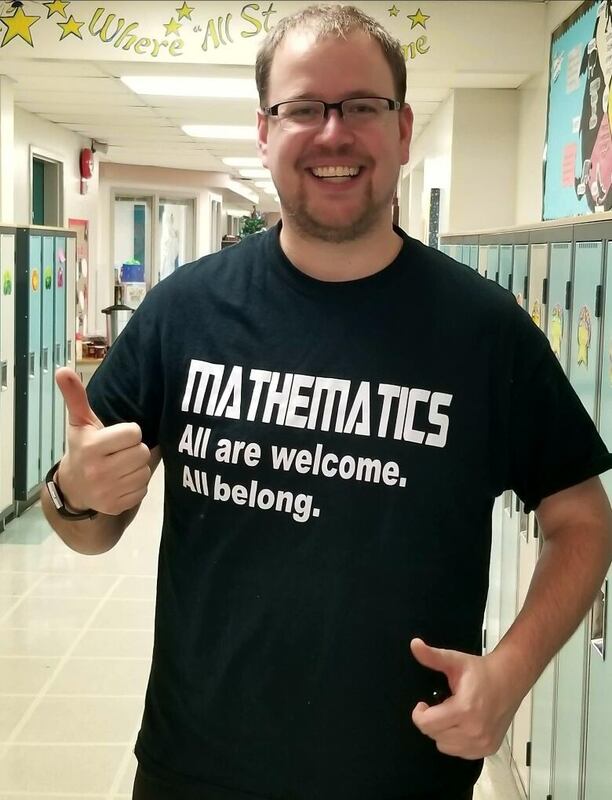 A teacher from central Alberta wrote to a colleague the non-calculator portion shouldn't have been timed, explaining the ordeal "has caused unnecessary stress and dislike for math and creates an environment that breeds math anxiety." The teachers' union has a similar view. 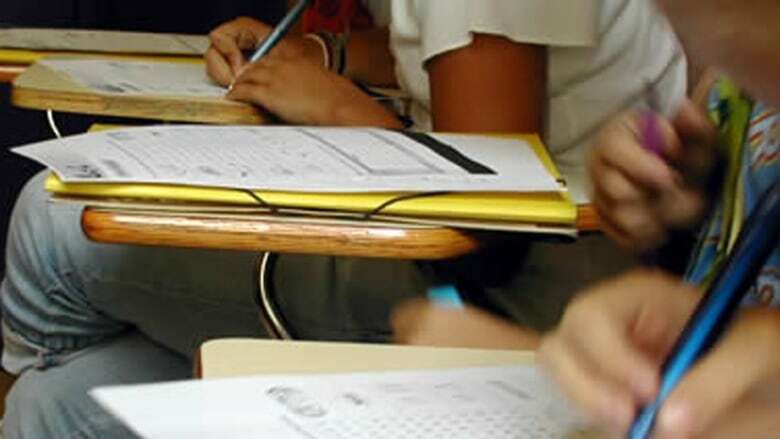 In interviews, the Alberta Teachers' Association said the standardized testing system is broken, and one local president in Calgary said the Provincial Achievement Test should be scrapped, saying it's not a reliable assessment of student abilities. Burdess also has serious problems with the test. "I have students that are doing bigger, more beautiful math than they've probably ever done, and they're learning it at a deeper level," she said. "They're learning to problem-solve. They're learning how to collaborate with others. They're learning how to communicate their thinking. And it's just not possible (to assess those skills) on a test like that." 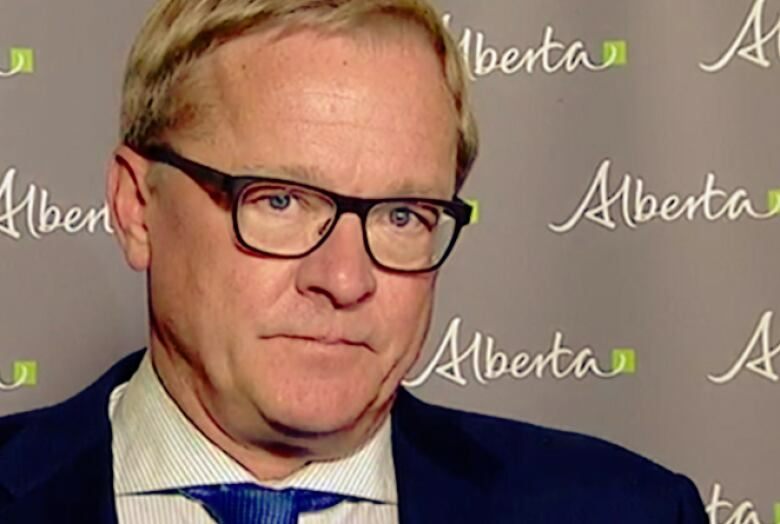 Education Minister David Eggen said he understands the latest Grade 9 math test was difficult. But he believes scores will improve in the years ahead as students get used to studying without a calculator, adding that knowing how to do math the old-fashioned way is an important life skill. Eggen said student assessments are essential to ensuring quality education in schools. But he said the testing system will likely change as the province rolls out a new Kindergarten to Grade 12 curriculum. "We're constantly looking for feedback from students and teachers and parents to make what we do better all the time," he said. Acknowledging concerns the exam may not properly measure math skills, Eggen said: "That is useful information, and I certainly will take it back to my assessment division." The opposition to Alberta's standardized tests is not universal. Jonathan Chin, a Grade 6 teacher in Calgary, said these exams accurately assess student understanding of problem-solving and mental math, though he notes they are challenging. Still, he said he wasn't happy about the latest math results, arguing, "we're capable of doing a lot better." Chin said many factors could be at play in why the latest Grade 9 scores were low. He said each student has to be assessed individually on what may be holding them back. Do they understand what the question is asking them to do, and do they know the calculations involved? But the provincial test isn't the only standardized measure of student achievement. When stacked up against other provinces and countries in the Programme for International Student Assessment (PISA), Alberta students perform fairly well. PISA results are based on a random sample of 15-year-old students, as opposed to Alberta's method of attempting to test every student in certain grades. This means the PISA results are an estimate. In 2015, the latest year for which results are available, Alberta math scores were in line with the Canadian average, with only Quebec coming in higher than the national benchmark. Alberta math results were also higher than those of all but 10 countries or economies. Seventy-two were ranked. In science, Alberta performed far better. Its average scores led the country and were better globally than all but one country — Singapore. The province's Grade 9 math scores in the Provincial Achievement Test have long been lower than in other subject areas, said education researcher Elaine Simmt. She conducted a study of student performance in the late 1990s when Alberta Education officials were worried about low math test results. At the time, Simmt looked into schools that were achieving high marks and interviewed teachers with novel approaches to helping students visualize math, like measuring the circumferences of circles with cans and string. Other teachers set high expectations and devoted time to math contests. Simmt, an education professor at the University of Alberta, agreed with Chin that it's difficult to pinpoint the causes behind the latest low scores given that students have unique challenges and strengths. She said standardized tests are not a perfect measure of student skills. Once students solve a given problem, she said they have to record what may be a complicated answer in a bubble sheet, writing the numerator, the fraction bar and the denominator in separate columns. "Even filling out the sheet itself is difficult," she said. "It's not just about calculating; now it is understanding the language of numerator and denominator, and getting it on the answer sheet correctly." The province declined to publicly reveal the questions from the latest tests because officials will use some of them in the next exam, and don't want to give them away. But Alberta Education did publish sample questions to help students prepare. Simmt said the questions were complicated, though "I expect Grade 9 students to be able to answer them." David Martin sees it differently. A high school math teacher who has led professional development courses across the province, Martin said some of the sample questions were bizarre. For instance, one question that was meant to be answered in 60 seconds without a calculator asked for the square root of 145/4, to the nearest whole number. "Some of these questions are ridiculous, for a lack of a better word," Martin said. "As a math guy, I can't even come up with a real-life example that you would even do this kind of math for, other than maybe a skill-testing question on the back of a ballot." Still, Calgary mom Hofer said her daughter's performance in the standardized test has her worried about what the teenager may be up against as she starts a semester of Grade 10 math in January. Hofer said she's already hired a tutor. "I'm hearing from lots of parents that their child's having a really hard time in math at this stage and that they're going into high school, and they're unequipped or they're ill-equipped, and they're paying lots of money for tutors to pad the education that their kids have already had."